Cauliflowers (Brassica oleracea var. Botrytis) are a variety of cabbages (Brassica spp.). They are annual or biennial plants from the cruciferous family, where other very known plants belong, such as cabbages (Brassica oleracea L), turnips (Rhapanus sativus) and other common herbs such as white rabaniza (Dipotaxalis erucoides). Cauliflowers, as we know from the market, are characterized mainly by their heart which consists of an inflorescence composed of numerous undeveloped flowers that gather around a central axis. This inflorescence is surrounded by a series of gray-green leaves, wrinkled on the margins, with whitish large nerves. They protect it and prevent the passage of the sun. This means that, during the phase of growth, they present whitish hearts caused by the lack of chlorophyll, although we can find some greenish or purple varieties. If left to mature, the plant produces an inflorescence that acquires a height of 100 cm where the real flowers develop. Cauliflower is a variety of cabbage produced by a plant selection which basically takes profit of the middle of the inflorescence. Like the rest of the cabbages it comes from the wild species Brassica oleracea, that can still be found at wild in many parts of Europe. Cauliflowers are very interesting as food plants and at the same time, they are very affordable for the consumer, as they can be found on the market for almost all year making them easier to buy and reducing their sales price. The most favorable time to buy cauliflowers is during late fall and winter. Spring cauliflowers: These are very resistant to frost. They mature in spring. 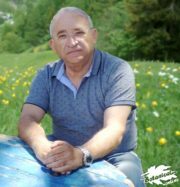 The harvest takes place during the spring or early summer. 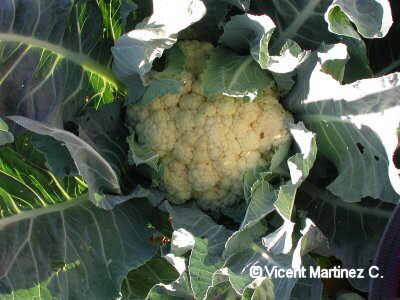 These varieties require cold weather to produce high quality cauliflowers. Among these there are very wellknown varieties, such as, for example, Winter Walcheren, the Giant of Naples or Snowbred. Summer and autumn cauliflowers: They are those that are collected during the summer or fall. These include, for example, Catalina or the Presto that may be available on the market from September to November. The planting of this type of cauliflowers is done between the months of May or June. Unlike the earlier variety, they do not require a cold climate, since they are perfectly suited to temperate climates. Winter cauliflowers: They are those that are collected during the winter. Within this group we can point out early varieties, such as kangaroo or the turkey on Christmas, that are collected between the months of November and December; midseason varieties, such as Canberra or Primus, that are collected between the months of January and February; and late varieties, such as San Jose, that is collected in March. 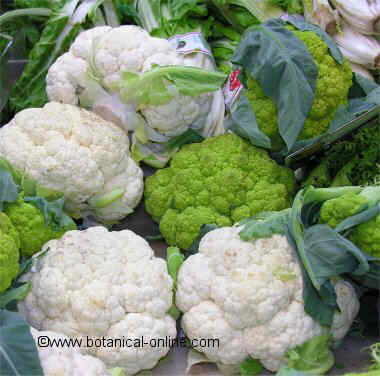 Most popular cauliflowers are those that have a whitish color, which is not to say that they are the most suitable ones. The white color of this type of cauliflower is a response to a lack of chlorophyll which may make them more visually appealing but with a lower content of vitamin C, flavonoids and chlorophyll and therefore with less antioxidant properties. White cauliflowers: They are the best known ones. They are those with white inflorescences, because they are grown covering them with their green leaves so as to keep them out from the sun. Green cauliflowers: When they are grown with the inflorescence not covered, because of the action of sunlight, their color becomes green. Purple cauliflower: Very rich in some dyes called anthocyanins that give them very interesting properties. Although cauliflowers prefer temperate climates, they are grown in almost all regions of the world, in case they are provided with enough moisture, good work and humus-rich alkaline soil. The world’s largest producer is China with a production close to India. Then we will have the following countries: Italy, France and Spain.